May 6-8 I and Gregor Sobocan from Slovenia did 3 days camp in Haltern am See (Germany). 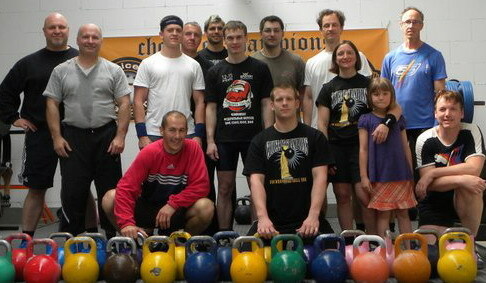 Many thanks to Dr. Hermann Korte for providing the “Choice of Champions” gym. It were really interesting days. 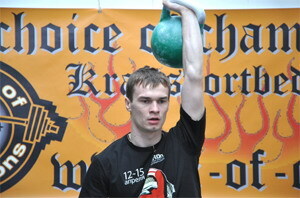 I and Gregor showed hard sets with kettlebells every day. We taught participants technique of classic exercises, preparation kettlebells and many assistant exercises. I hope this short camp was very useful for all participants. Welcome to our next events! This entry was posted on Thursday, May 12th, 2011 at 10:06 am	and is filed under Uncategorized. You can follow any responses to this entry through the RSS 2.0 feed. You can leave a response, or trackback from your own site.